Got this in the mail today. I’m working exclusively for ‘BOC Productions’ now. But I can’t say much at the moment. It’s top secret. It’s going to be another exciting year. The opening episode of series two aired on RTE Xmas night and then on the BBC on Stephen’s Day (Boxing Day). Animating the opening credits is a lot of fun and there are some added extras on the opening for series two. For example…the snowman in the background is actually Grandad! 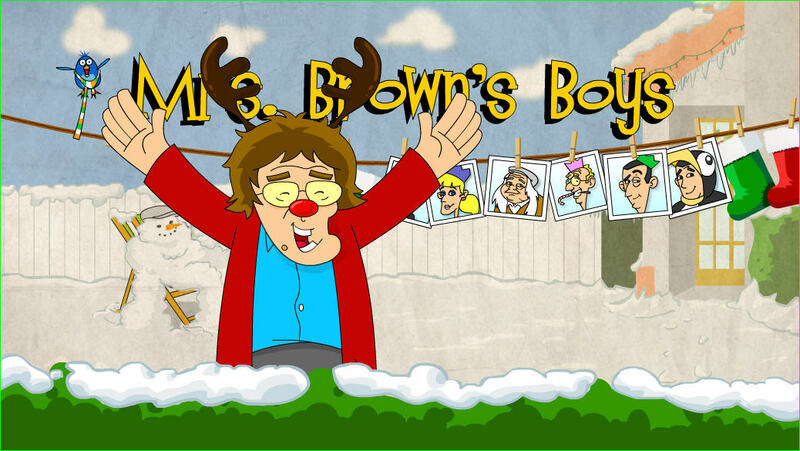 Mrs Browns Boys – Agnes Brown! And here’s one I prepared earlier. 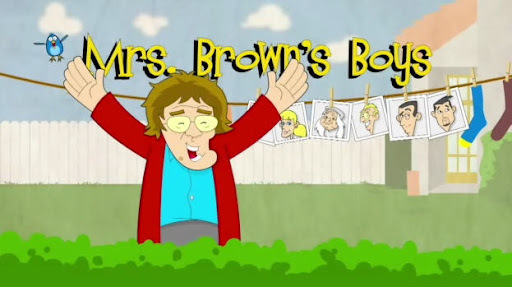 This is the Mrs.Brown from the BBC show. How can you tell the difference? Easy. Her cardigan is red! The stage show cardigan is green! 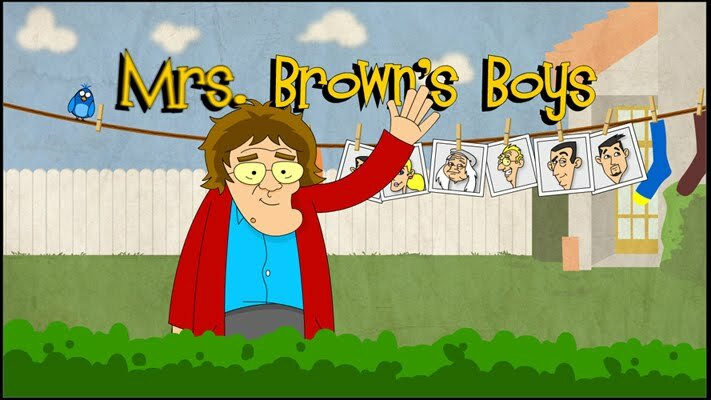 I’m back doing some Mrs. Brown work for Brendan again. It’s been a while but I’m now redrawing all the characters to match the BBC show and the stage show. A lot of work considering they’ll all be vector art! Vector art so Brendan can have his characters on T-Shirts or postage stamps and not lose the quality of the image. This didn’t happen…but it would have been well deserved if it did! ‘Mrs. 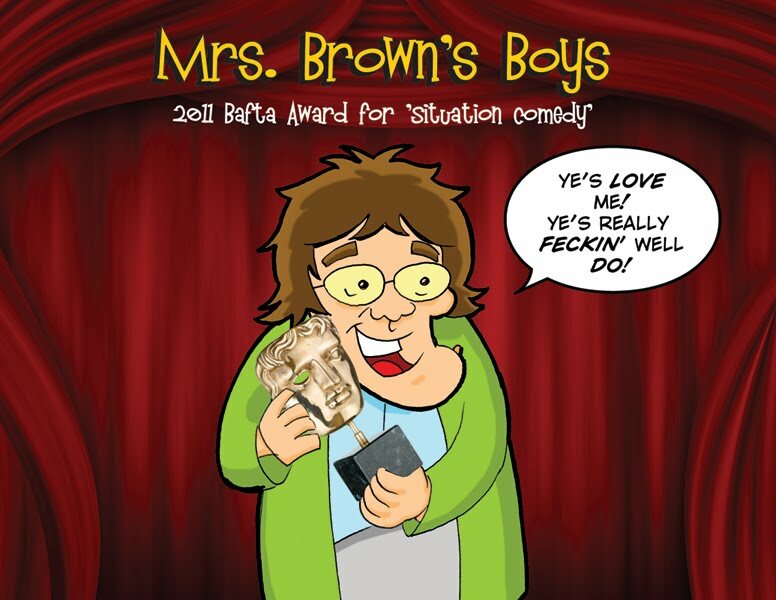 Browns Boys’ was nominated for best sitcom at the BAFTA awards. For US readers it’s the equivalent of the Emmy’s/Oscars. It was beaten out by a show called ‘Rev’. Which, to be honest, I’ve never heard of until I read the nominations. From what I’d been reading online about ‘Rev’, it seemed to be a safer bet then Mrs. Brown. 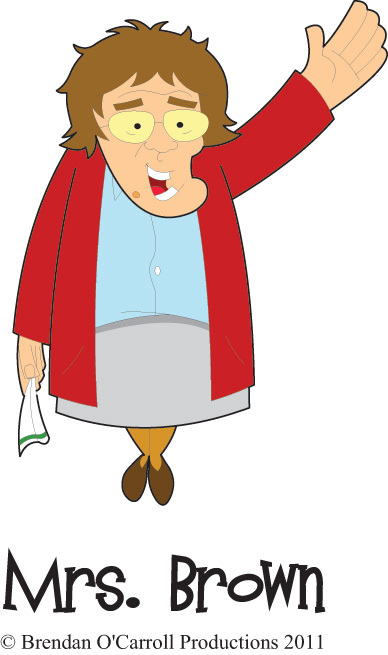 Mrs Brown seemed to ‘risque’ for the curmudgeons who voted in that category. Brendans show had walloped every other show in the ratings in his time-slot. It seems that ‘Rev’ was a strange choice to win. Oh well. Congrats to them and hopefully next year Mrs. Brown will be holding that golden trophy. 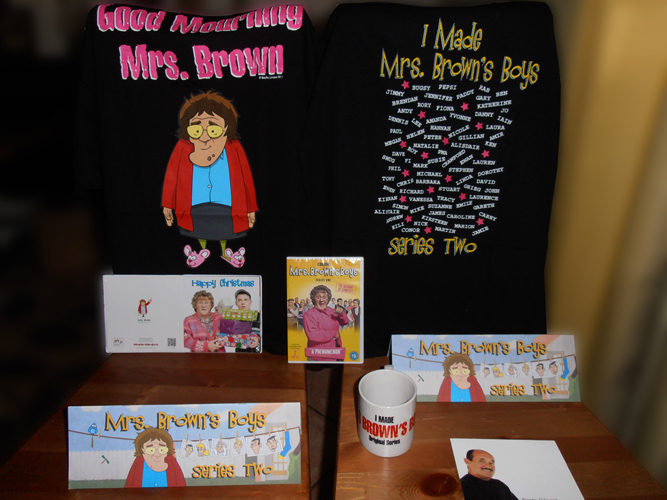 Mrs Brown – A Ratings Hit! Mrs Browns Boys has finished airing on the BBC and it’s proved to be a ratings success. Not only in the UK but in Ireland too. It’s ratings beat out the Irish TV powerhouse ‘The Late late Show’ and in the UK it was number one in it’s time slot beating out a few new shows. The show kept it’s strong showing in the ratings and even the last show got a bump in viewereship. 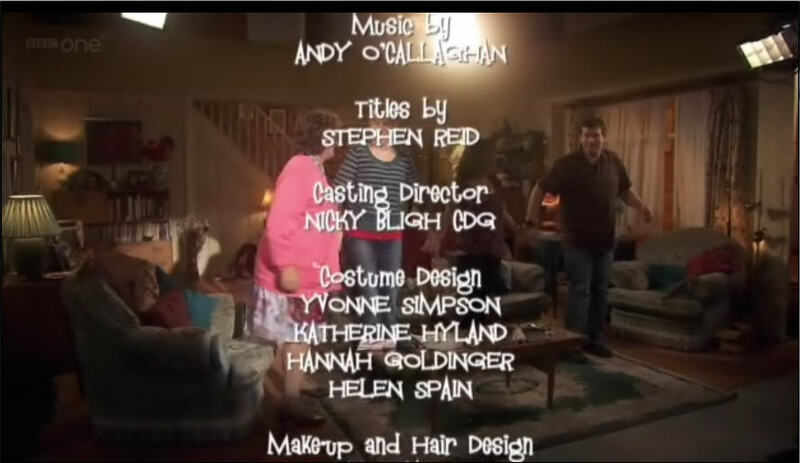 I’m so proud to be a part of this project that took years to bring to the small screen and Brendan and his family deserve all the success for their hard work. The show has already been renewed for a second season and hopefully I can be part of that and tweak/add to that opening sequence. 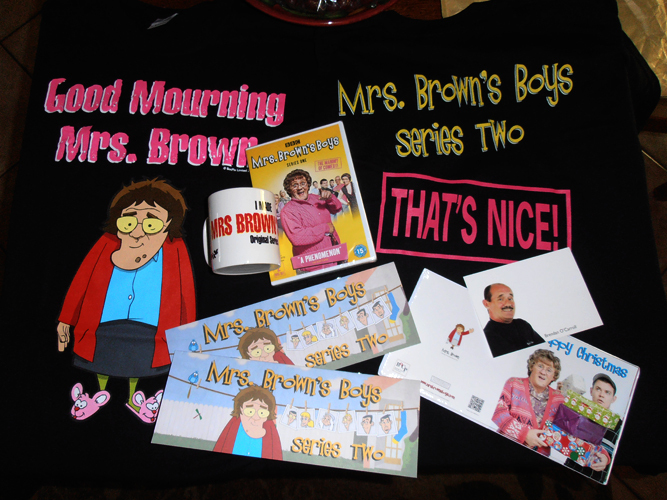 Mrs Browns Boys – On TV! 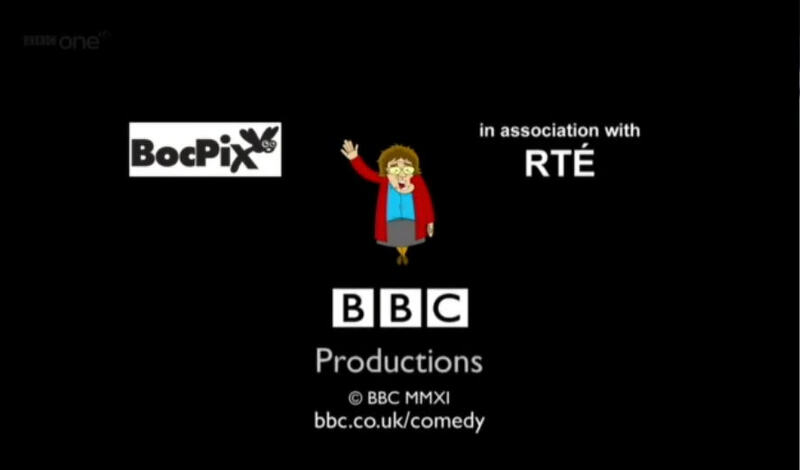 I animated the opening and ending credits to the new BBC comedy hit series – Mrs.Browns Boys! You can watch it on RTE (Irish Television) on Saturday nights and the catch it on the BBC on Thursdays. It was a lot of fun to do and the BBC Producer for the series, Stephen McCrum and his staff were an absolute pleasure to work with.